Artisanal Gold Council Blog: Spring Check Up – Looking Bright! The AGC is working on multiple stages and types of projects to improve ASGM worldwide. We have set up a demonstration plant whereby miners will no longer need to use mercury to extract their gold from the ore and at the same time their gold recovery will improve by about 30%. From February 21-23 we take part in a USDoS Regional Workshop on Mercury Reduction which will involve participants from Ghana, Burkina Faso & Guinea. On February 24th we will participate in the GEF GOLD Burkina Faso kick-off event, followed by technical meeting with UNIDO. 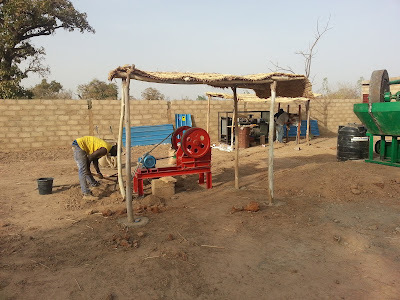 A local working on our demonstration "mercury free processing system and training centre" set up in Burkina Faso this month. 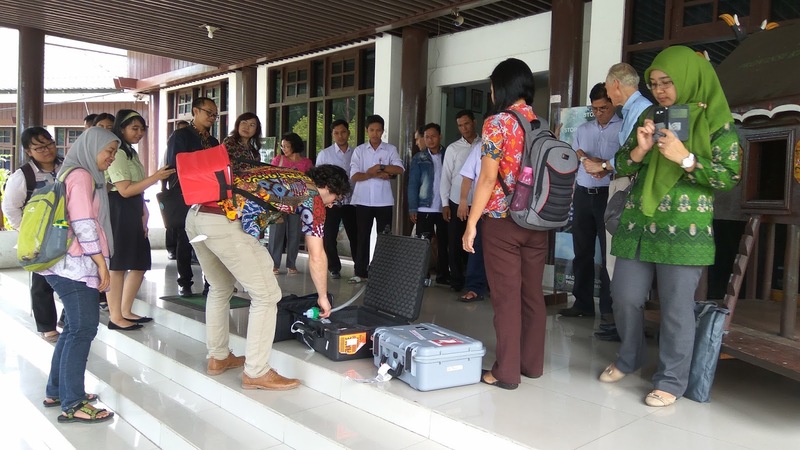 Environmental and technical experts from the AGC have completed their baseline data collection in rural Indonesia and they are back in Jakarta now for analysis. 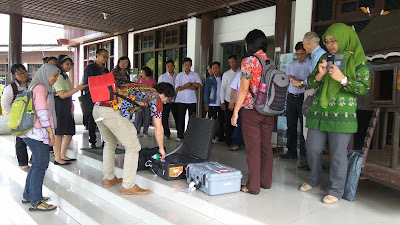 Tyler, our environmental expert, demonstrates to Indonesians how some of the baseline equipment works. Preparatory work is being completed to work with the government in Loa in preparing their National Action Plan. The National Action Plan (NAP) workshop inception meeting occurs this month, during which we will be recruiting national experts, and in meetings with national government. Kevin, describing the dangers of mercury and importance of national action plans. The National Action Plan (NAP) workshop inception meeting occurs this month, during which we will be recruiting national experts, and meeting with national government officials. We will be doing the inventory training as part of the NAP in Ghana - working with a local Ghanian NGO called Friends of the Nation and the Natural Resources Defense Council. The National Action Plan (NAP) workshop inception meeting occurs this Spring, during which we will be meeting with national government and recruiting national experts. Our first installation for the MEJORO project will be completed soon. 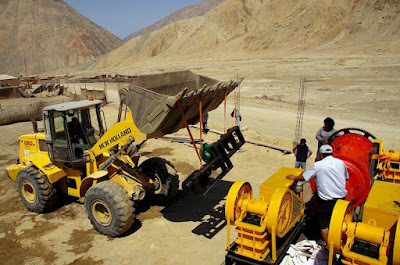 Check our ULULA blog for other helpful projects in Peru. Locals and AGC staff work together installing new technology for miners in Peru. Follow us on Facebook and Twitter for timely, inspiring and educational updates.